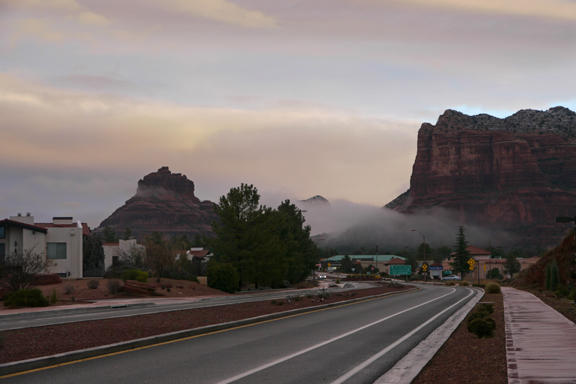 Sedona’s energy vortexes may be the world’s largest invisible tourist attraction: Every year, thousands of people come to experience what they describe as a subtle energy that emanates from the earth. I’m not exactly a New-Age-crystals-and-incense type. But still, I wondered if there might be something behind the hype. So this morning I set out at dawn for a six-mile walk. My destination? 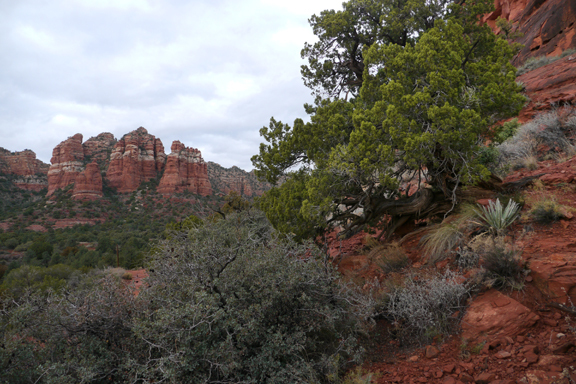 Bell Rock. Bell Rock is a ubiquitous sight in my temporary home. Sometimes it seems to straddle Hwy. 179. Other times, it looms above the outlet malls, or punctuates the horizon. 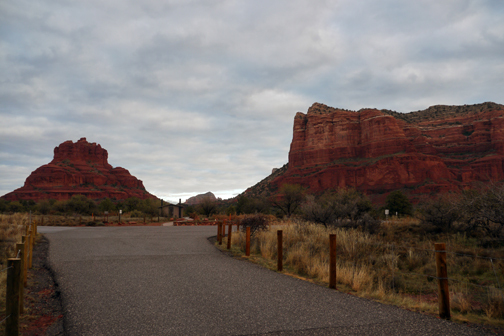 I arrived at the trailhead to Bell Rock shortly after sunrise. The parking lot was empty. 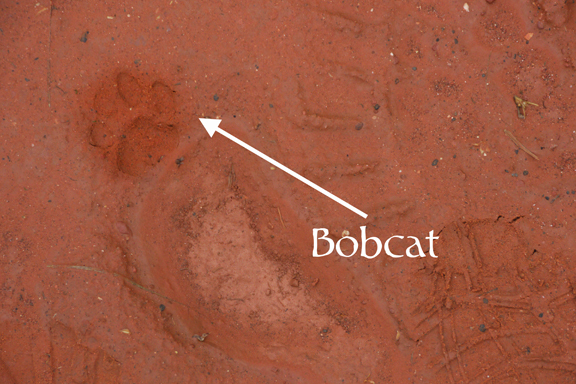 Judging from the muddy trail, I’d been preceded only by another lone hiker, his dog, and a small bobcat. 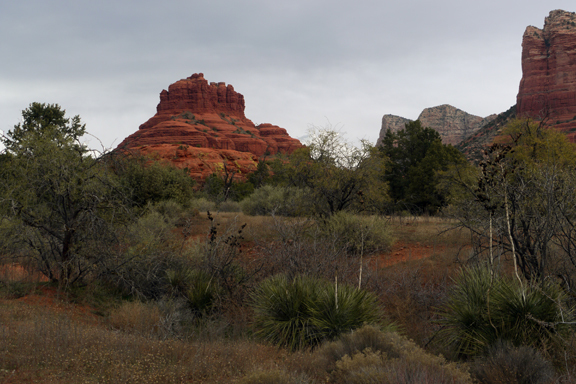 Bell Rock is actually a part of the Coconino National Forest, which is managed by the U.S. Forest Service. So I wasn’t surprised to find the first few hundred yards of the trail well groomed and well fenced. But by the time I reached the base of Bell Rock, the fences had disappeared. I was free to scramble at will—which (I’m told) is the best way to find a vortex. 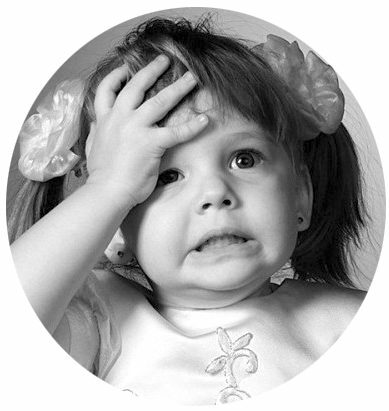 But a map will only get you so close: To find the exact location, you’ll need to rely on your intuition. And you’ll need to find your tree. 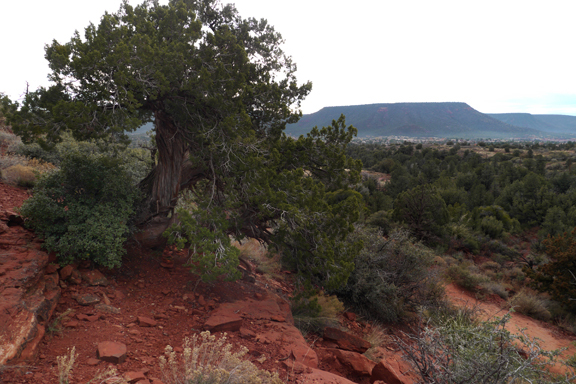 Local lore has it that juniper trees near a vortex will exhibit a twisting, swirling growth pattern. 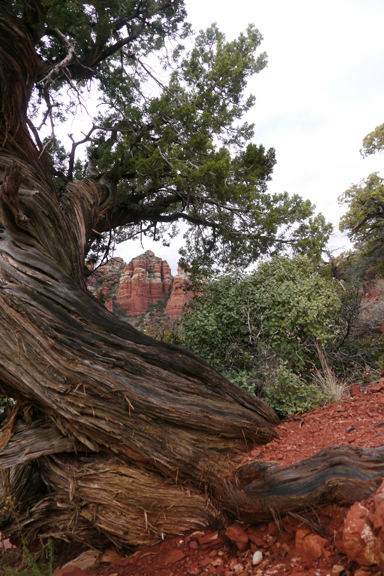 The more twisted the juniper, the stronger the vortex. 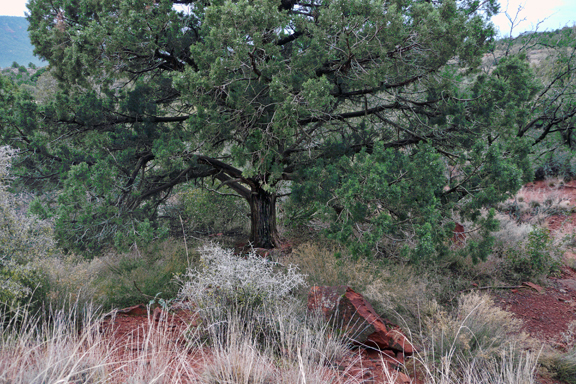 Yet most of the junipers I saw looked, well, normal. 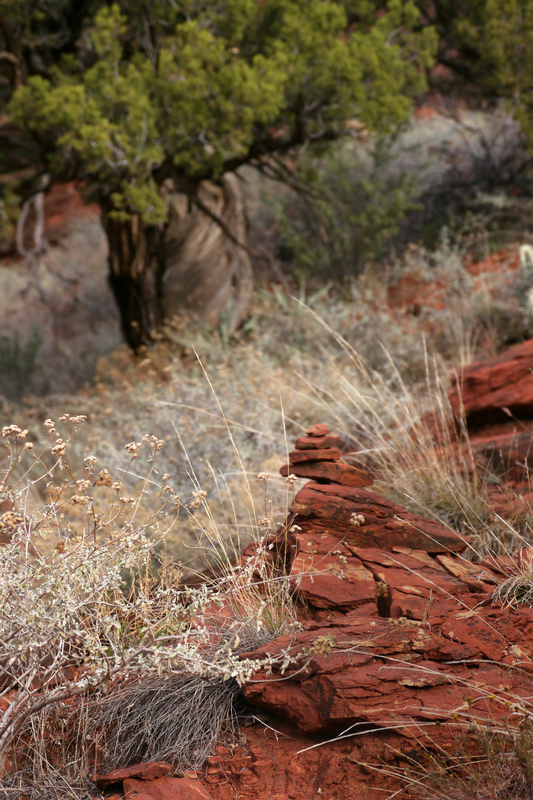 But as I walked along the trail I felt an uncharacteristic urge to scramble up a rocky slope. I followed my instinct and, when I reached a wide ledge, I found my tree. The tree’s bark looked like it had been swirled in a blender. Its beauty defied the work of even the most gifted bonsai master. As I traced the bark’s contours with my fingers, I felt a weird sense of calm—and yet I felt energized, too. I couldn’t quite find the words, but I was definitely experiencing something. The scientist in me started asking questions. Was the iron ore in the rocks channeling a subtle electrical current? Had I stumbled upon an electromagnetic field? Or was I feeling something simply because I wanted (or expected) to? I had no answers, but I wasn’t yet ready to leave. I’d read that many people leave small memorials at the vortexes. 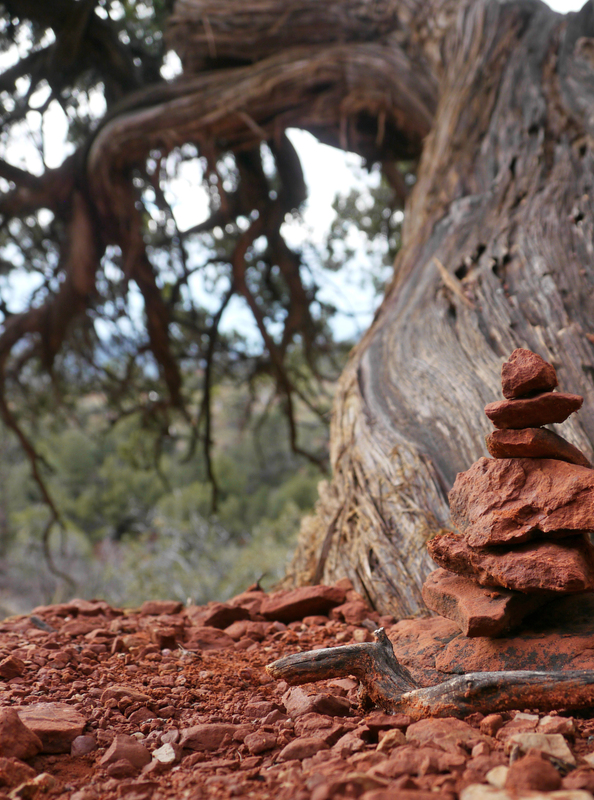 I built two small cairns of my own: The first, to give thanks for my life. The second? To show gratitude for the time I still have left. 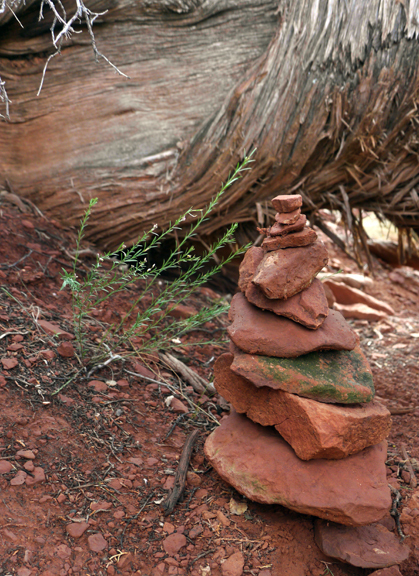 Only after I’d created my little memorials did I notice another visitor’s cairn, built before my arrival. What had drawn them to this secluded spot, so far off the beaten path? I still can’t quite describe what I felt near that tree. I can’t say I’ve become a vortex believer. But I can’t entirely discount my experience, either. 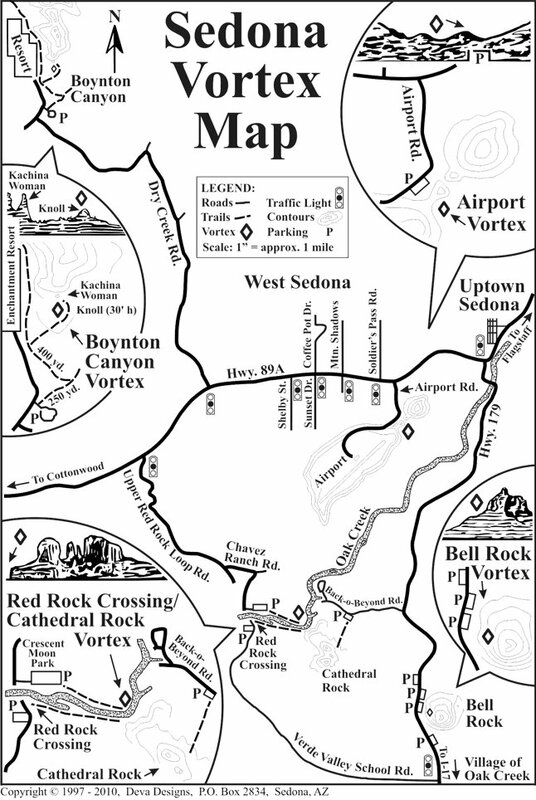 Are the Sedona vortexes real? I guess some things are meant to remain a mystery. 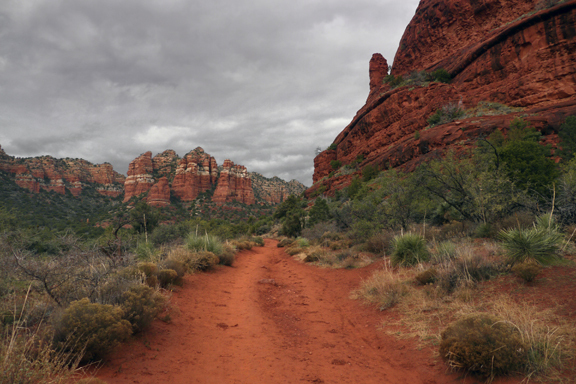 Sedona’s on my list of power spots to visit. Thanks for this primer of finding a vortex. PS. That should have been “on” not of.